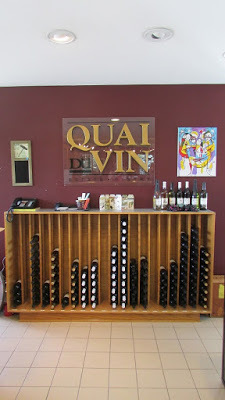 On our recent visit to Ontario’s Southwest, Shawn and I had the pleasure of stopping in at Quai du Vin Estate Winery, where we were impressed with the beautiful grounds and the enthusiasm of winemaker Jamie Quai. It was hard not to be taken in by his sheer passion for making wines in the region. And the wines he makes are quite interesting – a mix of vinifera and hybrids that are very expressive of the region and tailored to meet the needs of his clientele. 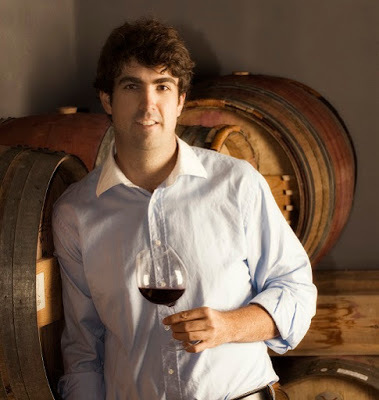 I was happy to pick Jamie’s brain a little further about why he makes wine and what influences his winemaking choices. 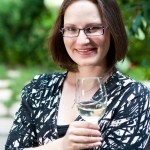 I hope you’ll enjoy my latest winemaker profile. Why did you decide to become a winemaker? What do you think drew you to the profession? I’m at the beginning of what I hope will be a trend of second generation winemakers, grape growers and vignerons. The Ontario industry is so young that quite a few of the pioneers of the modern industry are still active. I had the good fortune of actually growing up in the vineyards. This was not a career I came to after too much searching. To be more specific; I decided this was the career direction I was going to take somewhere around grade 11 or 12. As it turned out, language classes were not my strong suit, I had no talent for music or art, and several wise guidance counselors pointed out that there was “little future in history.” It turned out that I loved and thrived in mathematics and the sciences. Ultimately, it was the realization that a job in wine would let me be a working scientist that drew me into the family business. Truth be told, I disliked this industry as a young person. To me a winery was where my allowance came from, summer jobs, etc. On top of that, I saw the daily challenges, not the romance. Imagine being a child in a world that doesn’t deal with children (under 19 at least). Imagine not being able to wear your family business shirt at school because it promotes alcohol, or not being able to go with your parents to “take your kid to work day.” I really had to near adulthood before I felt drawn to the industry. How have you found making wine in Ontario’s Southwest? What unique challenges do you face because of the terroir? 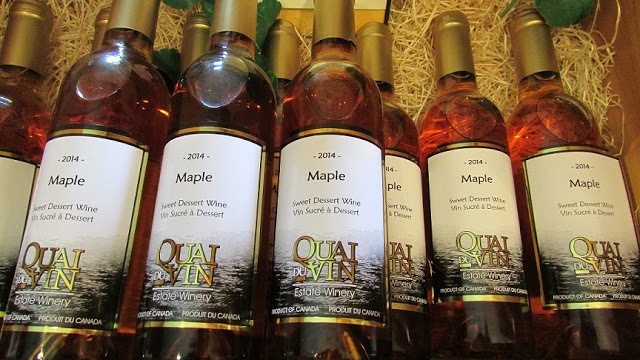 I love making wine in the North Shore of Lake Erie and Ontario`s Southwest. I describe it to students I’ve taught at CCOVI (Brock University) as “frontier winemaking.” After over a decade of vintages in a frontier region, I have a difficult time imagining what I would do with the relative comfort of being in an established region. Not to minimize all the hard work of those vignerons in an established region, but there is a whole different level of challenges that one faces as a frontier winemaker. Here’s a relatively benign example of what I mean to illustrate my point: There are no major winery supply companies within a two hour drive of my farm. That means harvest needs must be planned out thoroughly when you are frontier winemaking. One cannot simply pick up that replacement part, or yeast or aid on the way from home to the winery. When it comes to challenges of terroir, the biggest issue we in Ontario’s Southwest contend with is our own expectations of what is “normal” for Ontario. What we, as an industry, take as terroir gospel, is based on the whims of Lake Ontario (makes sense since that’s where the action is). 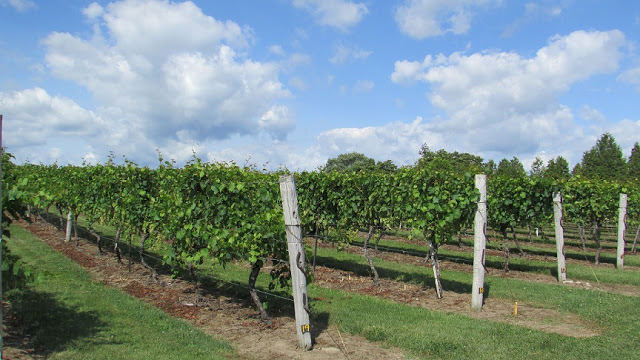 Both Niagara and Prince Edward County terroir are driven by Lake Ontario. Despite both being Great Lakes, and the relative proximity of our regions to each other we must always remember that Lake Erie is not Lake Ontario. Our season tends to start later than Niagara, our autumns tend to be warmer (on average). We’ve, anecdotally, had less issues with spring frost. There tends to be much greater seasonal variability from one vintage to another (our highs are high and our lows can be low). If we based our grape growing tasks around what Niagara growers are doing that day, we would fail miserably. I can’t count the number of times I’ve been on Twitter or Instagram and seen colleagues doing tasks weeks ahead of where our vines are developmentally. None of our challenges are unique – it’s just about perspective. One great thing about our terroir, relative to Niagara, is that because of our similar continental climates and our delayed start to the season, Niagara tends to see disease outbreak first. They are my canary in the coal mine for mildew and pest pressure. What do you think has been your best vintage thus far? I’ve been making wine professionally my whole adult life. I break vintages into two categories: vineyard vintages and cellar vintages. I’m going to exclude the obvious vineyard vintages from my mind (2004, 2007, 2010, 2012). Those were tremendous years for us, but I’ve started to think that those wines were mine to (potentially) screw up. Absolutely anyone could make great wines in those years. They were too straightforward to be my best (it may be semantics, but I’m differentiating between THE best and MY best). I’ve come to really respect the cellar vintages. One of the pillars of quality is consistency. And a winery that can make consistently great wines, even in off-years (because of their great team), is where consumers should put their money. Cellar vintages need extra coaxing, and more and more they need patience. Off years take longer to show their true potential. After thinking about this question for a while, and I think my best vintage would be 2011 (It was a toss up with 2008). What grapes do you think grow best in Ontario’s Southwest and why? Being part of a multi-generational wine business has given me some great lessons on what potential Ontario’s Southwest has to offer. Odds are, we’ve tried it, or know someone who has. I see my role in the timeline, to narrow down some of the varietals we grow and put energy into helping realize the grapes fullest potential. Here are four grapes that I see as the foundation of our region, and three that I have difficulty imagining as cornerstones of Ontario’s Southwest – these are only in the order they occur to me, by no means ranked. Riesling. This grape just has it all. It has shown itself to really thrive in our soils, with our winters, and in our growing seasons. Chardonnay. Definitely on the leaner side. This grape has proven itself, though some work by vignerons is needed to help the wines best express themselves. Cabernet Franc. It does very well in our winters, we get the heat to ripen it properly. Much like Chardonnay, this grape just needs a little coaxing to realize its fullest potential. Pinot Noir (blasphemy, I know). We’ve tried it here and I’ve had lots of examples throughout the region. Many were tasty, most were good, none were great, and the word exceptional isn’t even a descriptive consideration. I don’t think this area is the best place for Pinot Noir in the province. And that disheartens me as a Pinot lover. Sauvignon Blanc. Our winters just get too cold. Cabernet Sauvignon. This goes back to the highs and lows comment earlier. I only see great potential in Ontario’s Southwest Cabernet Sauvignon maybe three of every 10 years. Those three are amazing, but one really has a challenge building a brand on that level of success. What advice do you have for those hoping to pursue winemaking in Ontario? Be a well-rounded person. Having taught at Brock University for almost 10 years now, I can say almost without fail, those who have succeeded in this industry were well-rounded people. That means being: intelligent, practical, friendly, worldly, possessing strong communication skills, strong work and personal ethics, being literate, possessing some humility, having interests outside of wine, and being open to the possibility that you could be wrong. Centuries ago, a general would lead their army into battle. The soldiers drew strength from seeing their leaders. It’s only a recent affectation of battle that the general is out of harm’s way behind the theater. Find a winery whose leaders rally their teams in person, and learn from them. Find leaders who are the first one there and the last one out, and learn from them. Find a winemaker who is willing to walk into their tasting room to answer even the simplest customer question, and learn from them. You learn more about winemaking by working alongside great leaders, than you ever do from a drop-in consultant, elusive boss, or detailed work order. Thanks so much to Jamie for this open and candid remarks about what it’s like to be a winemaker in one of Ontario’s emerging regions. Want to try his wines? You should! 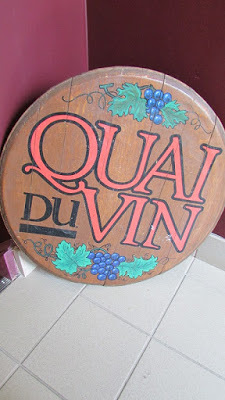 You can visit him at Quai du Vin Estate Winery in Ontario’s Southwest. I love the spirit of adventure and experimentation that cold-climate winemakers show.